The lone Republican in the Hawaii State Senate was interviewed on the radio this morning, explaining that while he believes Barack Obama was born in the Aloha State, he questions what might be on the original, long-form birth certificate that would prompt the president to go to such lengths to conceal it. 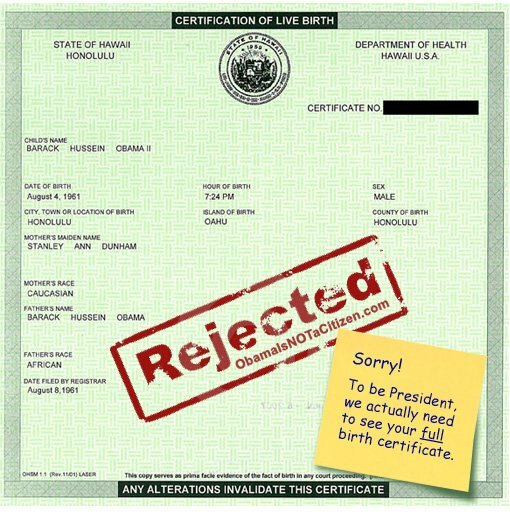 "I'm not a 'birther,'" Hawaii State Sen. Sam Slom told Jeff Katz of WXKS Radio in Boston, "and I followed this from the very beginning. At first I followed it with amusement, and then I got really concerned about it, because the question was if it was not just the birth certificate, but other records as well – school records, academic records, work records – why would anyone spend millions of dollars in legal fees, particularly someone in public office, particularly someone in the highest public office, to not make that information public?"